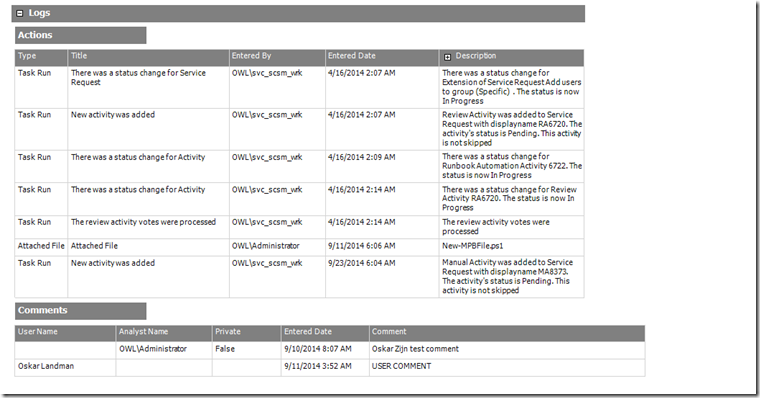 One of the “missing” features concerning reporting in SCSM is there are no reports for Service Requests. I think it was a year ago I wrote a need bundle with some reports. Now since this came up with another customer and to be honest there are some parts (very big understatement! )missing here I decided to write the whole sjizzle shebang. and when I mean the whole sjizzle shebang I mean the whole nine yards! Thanks MS I can now write C#, SQL Queries, XML, Management Packs, Bundles, DW Extensions, DW views, tables, temp tables and my lord can I join tables and views endlessly! I can honestly say Developer makes more sense these days than consultant but don’t understand me wrong I love writing code and all the rest! Whoop, whoop! People who know me I tend not to take the easy way but only go the whole nine yards! So prepare for a journey into how I got these reports! First of all there are no action logs / comment logs in the Data Warehouse…yes that makes 0,0 sense when your manager wants to know what happened and when. To get these logs into the dw a simple extension is sufficient to re-use over and over again. Once you have imported these extensions and synchronized the dw you are ready to start writing reports including comments, actionlogs! Don’t forget to remove the cube jobs since this will not improve the running of the sync as we all now. Woohoo Actionlogs in the DW how nice! Now for a little back ground there are also logs for activities in these extensions! Why? Take a look at a runbook activity and there they are and we want these as well! Nice there is an actual start and end date property on every activity, that’s cool I can use these! Nice another challenge, you could use ActivityStatusDurationFactvw but this is more complicated for the normal user and even worse where exactly get I get these in a view? Or use SLO on the activities? Yes you cannot until now. I have written a couple of workflows which actually populates the actual Start Date and Actual end Date! Simply import the management pack and you can now use the actual start and end date in your views as well, pretty cool! 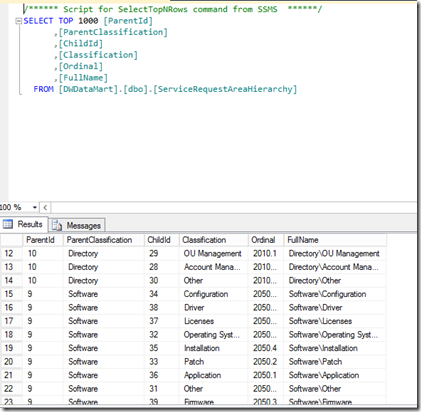 What about Lists or enumerations in reports? If you have joined three tables you will be able to view the area of a service request by display name in your report. Nice! But what if you have multiple area’s named the same but under a different branch? In a report you cannot tell if it is a Linux or Windows Account since it will only show “User Account”. I cannot remember exactly where I got this solution it was somewhere on the TechNet Forums I think, if you recognize the solution please let me know and I will add your credits! 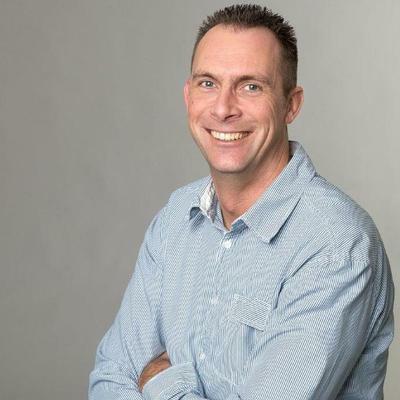 By default there are no runbook activities in the Data Warehouse. 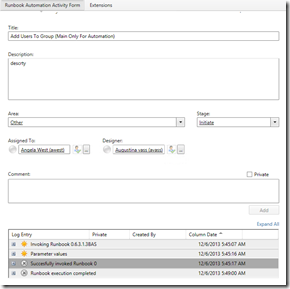 When you want to report on these you can use the ActivityDimVw but this will not have the runbook specific settings like which runbook and more runbook activity specific information. Since we are interested in these properties as well I have written an extension to report on these as well! Once you start writing your queries there is one little catch in here. you can try but his is not going to work because in runbookitemdimvw this property is a string and in the RunbookItemAutomationActivityDimvw this is a guid! Which actually converts the string to ID, really Cool ! With this post and the solutions you will prepare your environment to do some really cool reporting sjizzle! I promised you the whole shebang so wait for part two which will go into the reports!